FIX: Error recording AVI file using current compressor. Use default compressor? This error happens because you’re width and length isn’t the right pixels for the codec. You can solve this problem by changing the codec. I’ve also made a video of how to solve the problem, but below the video is a tutorial with screenshots. 1. Open your CamStudio and click on ‘options’. 2. Click on ‘video options’. 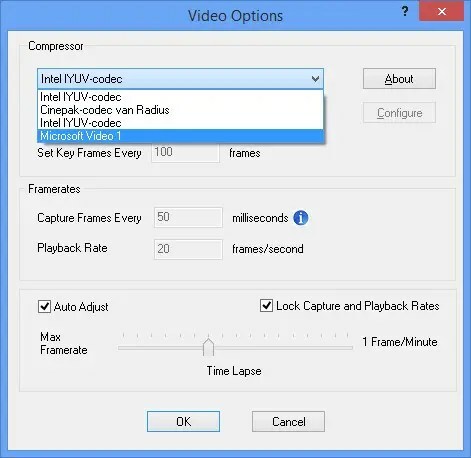 Change the ‘Intel IYUY-codec’ option to ‘Microsoft Video 1’. 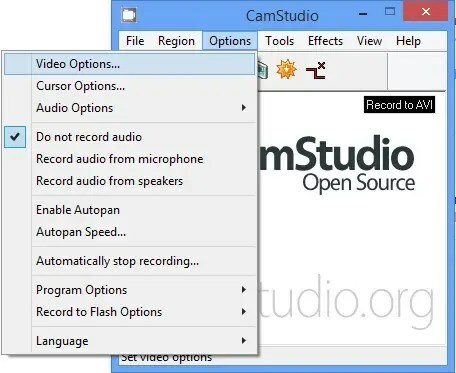 This will solve your problem with CamStudio.